Distress Signals was published yesterday. I’ve been following the tweets and posts about this book for some months and was delighted to be offered a review copy by the publisher. I’m a huge fan of cruising holidays and the intriguing storyline, combined with the thriller element very much appealed. I’m delighted to welcome Catherine to the blog with a guest post. My review of Distress Signals is at the end of the post. I absolutely agree that you should write what you know. But I don’t think this necessarily means that you should only write you know about, i.e. doctors should write medical thrillers, lawyers should write legal thrillers, I should write a productivity guide for procrastinators called Tomorrow’s Another Day: Why You Shouldn’t Start Anything Until It’s Already Too Late… Instead, I take it to mean write whatever the hell you want, but use what you know as much as you can in it. 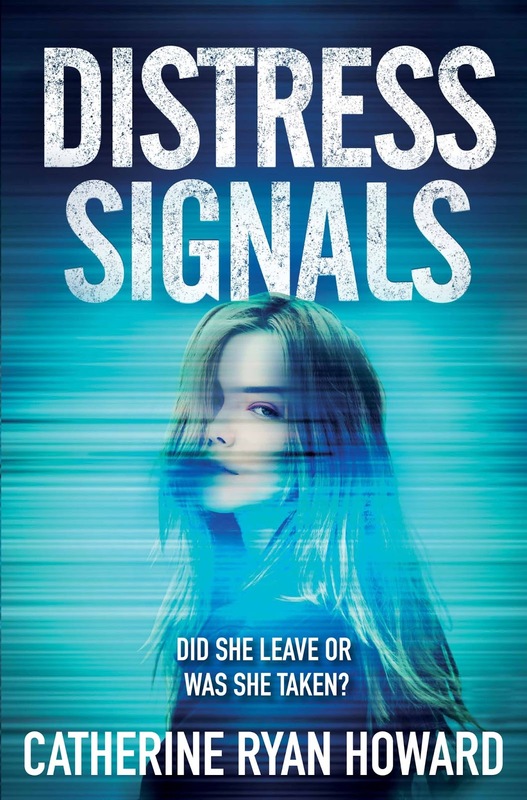 In my debut thriller Distress Signals, Adam’s girlfriend Sarah fails to return home from a Barcelona business trip. Days later, her passport arrives at the home they share with a note stuck inside that says ‘I’m sorry – S.’ The logo on it helps Adam trace Sarah to a cruise ship called the Celebrate, and to a man whose wife disappeared from the same ship in eerily similar circumstances almost exactly a year before. There is also a character, Corinne, who is working aboard the ship as a cabin attendant. Now, I’ve never worked on a cruise ship – but I have been a housekeeping inspector in a 2,000+ room resort hotel. The principles of running two such “rooms” departments are essentially the same, so I used my housekeeping experience to lend her role some authenticity. Furthermore, I used to be a campsite courier, and couriers – like cruise ship workers – live where they work. One thing people might not know about couriers is that everything they have, i.e. the tents they live in, the pots and pans they cook with, the beds they sleep on, etc. were more than likely all already used by customers until the company decided they’d had enough wear and tear and couldn’t be used by them any longer. At that point, the couriers get them. This was another detail I wove into Corinne’s life on the Celebrate, writing about how the pancake-flat pillows in the crew cabins and the patio furniture out by the crew pool were “crew-grade”. Again, I used what I did know to add authenticity to something I hadn’t first hand experience of myself. Sometimes your knowledge and your story line up perfectly in a happy accident. 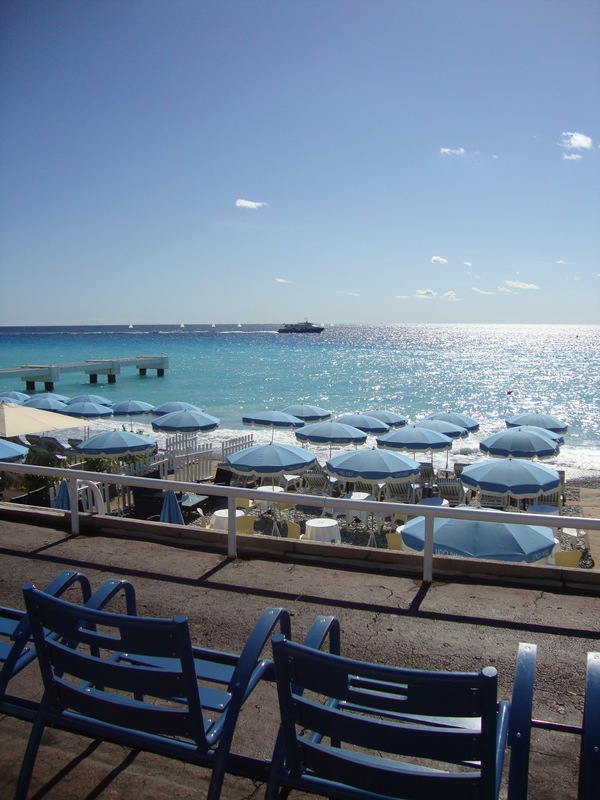 Before I went back to college full-time, I used to go to Nice, France for a few weeks every October/November, when the tourists had left, the sun had gone cold and the rents on holiday apartments had plummeted. Initially, the entire second half of Distress Signals took place exclusively on the ship itself. But one day, on a trip to Villefranche, a stunning little village in the sheltered bay just east of Nice, I noticed something: enormous cruise ships a mile or so offshore, running little boats (tenders) to and from the dock there. They were on a “port day”, coming ashore and taking buses and trains to Nice. I knew Nice, and I knew Villefranche. The decision came easily: the Celebrate would stop here too. The danger with using what you know, of course, is that you’ll be tempted to use too much of it. Once upon a time I worked in an auctioneers’ office, and one of my tasks soon after I started was to write a brochure outlining our property management service. My boss came back to me and said, ‘This is all great, Catherine… But we don’t want to tell them everything they need to know to do it themselves.’ I’d outlined our service in such detail that I’d essentially written a manual. (Oops!) In the early drafts of Distress Signals, I did the same kind of thing. On a morning when we follow Corinne to work aboard the ship, the reader essentially got a step-by-step account of a day in the life in a housekeeper. (The most riveting subject, I’m sure you’ll agree!) My editor made me cut it right down – and rightly so! It’s all about striking a balance. I love to learn about a part of the world, an industry or an environment I knew nothing about before, but story is king. Your research can’t get in the way of it. Adam and Sarah have been together for over 10 years. Adam’s ambition is to be a writer and whilst he has been pursuing this dream Sarah has been the breadwinner. It’s been a struggle but finally life is looking better. Adam has a film studio interested in his script but it needs some editing. Sarah tells him that she has to go to Barcelona for a work conference for a few days, instead of going with her Adam stays home to work. He sees her off at the airport, goes home and waits for Sarah to contact him, and waits……and waits. It is actually quite believable that you wouldn’t be too alarmed for a day or so – you’d tell yourself that Sarah might have lost her phone, or it’s out of charge. It’s a little surprising that she can’t get in contact at all but maybe she really is genuinely so busy at this conference. Its only as the days pass that Adam becomes increasingly more concerned. He then discovers something that completely rocks his world. 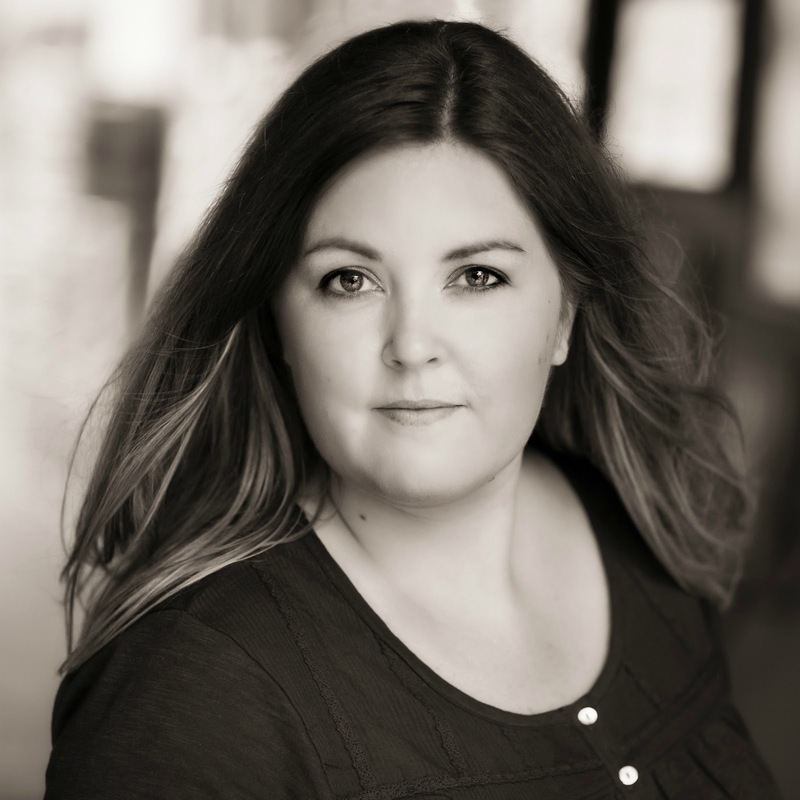 Distress Signals is Catherine Ryan Howard’s debut thriller and it really is very different. For one thing, a cruise ship is a major character in the story. In-between the main chapters of Adam’s efforts to find Sarah, we hear the story of a young French boy, Romain and follow him through the late 1980/early 1990s. There is something quite sad but disturbing about him and I wondered how he connected to the story? As well as the thriller element, the book gives insight into the life of a crew member on a cruise ship. One such crew member featuring here is Corinne, one of the cabin attendants. She is older than many of her colleagues and you can feel her weariness through the pages. As a cruise passenger, I’ve seen at first-hand how hard the crew work and what long hours they do and so I had a great deal of sympathy for Corrine. However there is a mystery surrounding her which adds another element of suspense to the story and again, her connection will keep you wondering. One very interesting fact included in the story which I wasn’t aware of, was concerning the maritime law and international waters – any investigation into a death or disappearance on a ship is the responsibility of the country where the ship is registered unless an American citizen is involved and then the FBI automatically has jurisdiction. In this story, the cruise company, Blue Wave, take full advantage of this maritime law and do their very best to best to hush up any incidents. The reader can feel Adam’s frustration with the lack of assistance from the Irish Garda. Because Sarah was an adult she was not considered to be ‘at risk’ and the feeling was that she had chosen to disappear. Even when they were faced with evidence showing that there were suspicious circumstances, not much help was forthcoming and it was down to Adam to make his own investigations. I liked Adam. He was an unremarkable man caught up in a remarkable set of circumstances and his efforts put the Garda to shame. The author writes confidently, her characters are believable and her writing style generally is very readable. The various threads to the story are suspenseful in their own right and all the way through I was trying to guess how they tied in. I thought I had worked it out but then another twist would appear and throw me off course. Every time I had to put the book down, I was keen to get back to it which for me, always makes for an enjoyable read. For a debut thriller this was very good indeed and I would certainly like to read more by Catherine Ryan Howard. My thanks to the publisher Corvus for the paperback copy to review.